I had such fun chatting to my guest Susan Bracken for this episode. We met on a workshop with Annie Ryan’s Corn Exchange Theatre Company and found we had a lot in common. We’re both actresses who started out in London, and who have moved back to Dublin only to find it’s like starting all over again. We’re also both mothers. So we had lots to talk about. Susan’s Dublin theatre debut was earlier this year in Strindberg’s Creditors playing Tekla at The New Theatre in Temple Bar, directed by last time’s guest Aoife Spillane-Hinks. Michael Moffat in the Irish Mail on Sunday declared her performance as ‘exceptionally nuanced’. We met to chat in a cafe in Temple Bar, in the early evening and, as you will hear towards the end of our conversation, we were given quite audible hints that the proprietor was eager to close up! 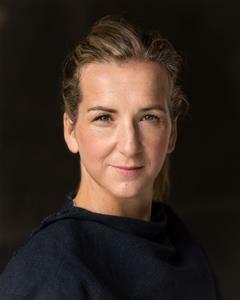 Highlights of her career in London include; playing Liz in the London premiere of Mark O’Rowe’s From Both Hips at The Old Red Lion Theatre, TimeOut Critic’s Choice for Allan Swift’s Bodyclock at The White Bear Theatre, Ellen in Richard Brockman’s Informed Consent at the Jermyn Street Theatre and Elena in Chekhov’s The Bear at the King’s Head Theatre. Other roles include Rosalind in As You Like It and Beatrice in Much Ado About Nothing in two sell-out Shakespeare seasons (Bard at the Bridewell) at The Bridewell Theatre. She is a co-founder of C Company, which has produced both new writing (Simon Warne’s One Night Stand, Jo Norland’s Lizzy, Darcy & Jane and Samantha Lawrence’s The Fetch) and staged many classics as theatre company-in-residence at London’s Bridwell Theatre (’08,’09,’10 & ’11). She holds a degree in Politics and Economics from Trinity College Dublin. We talked about her journey to the stage via Chicago and London and her passion for working with women. And she shared some of the theatre events that have most inspired her in recent times. Hope you enjoy listening to our chat. Don’t forget to follow me on Facebook and Twitter and now I’ve an instagram account, you can follow me @strutandbellow. And if you know of an inspiring woman you’d like to hear more from, email me at strutandbellow@gmail.com. Finally summer is here and it’s glorious! I lived for two and a half years on the French Riviera and it spoiled me. I’m back in Ireland 11 years now but I still crave the heat and vivid summer colours of that beautiful part of the world. Now that I’m finally getting over this awful, energy zapping cough it’s time build up some strength again. I got to my regular yoga class the other evening with my fabulous teacher Rachel. It had been a while what with one thing and another. I was reminded how much my body loves to move and how great it feels when I do yoga. 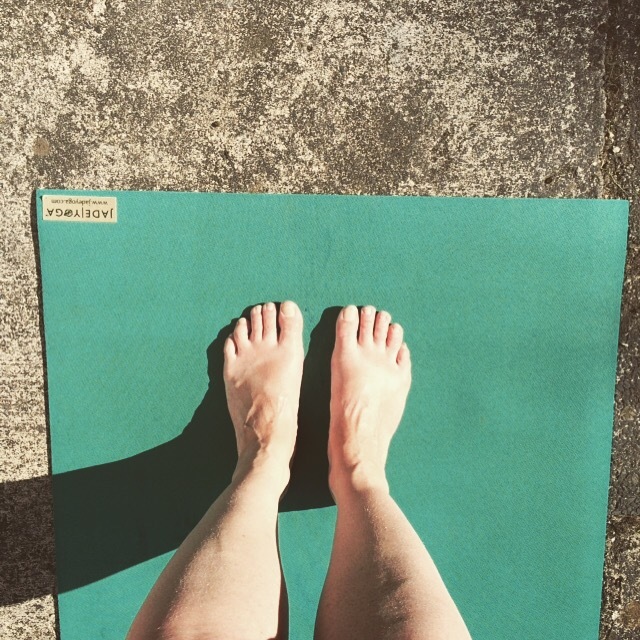 So I’ve set myself a #yogasummerchallenge to get on the mat every day of June. It’s a busy month and with the end of the school year in sight, everyone’s weary. I’m not promising to do a full 90 minutes every day. There will be some days that I may only manage savasana! But my intention is to feel that gorgeous energy and juicy suppleness returning. You can now follow me on Instagram @strutandbellow where I’ll be posting something of yoga summer challenge pictorial journal. Enjoy the sunshine while it lasts everyone, may your hearts and bodies be warmed!